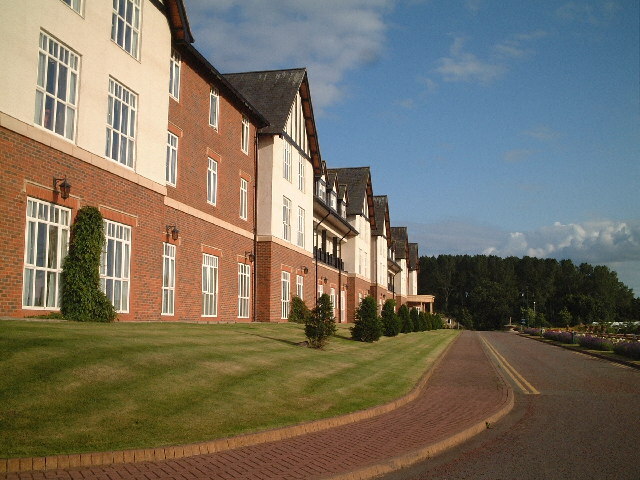 Set on 1,000 acres of countryside, this upscale golf resort and spa lies 9 miles from Chester. All of the contemporary rooms have free WiFi, cable TV, and tea and coffeemaking facilities. Some suites add separate living areas, whirlpool tubs and 4-poster beds. The 2 golf courses feature a driving range and practise greens. A spa and fitness centre includes a 20-metre indoor pool, a high-tech gym, and sauna, steam and treatment rooms. There are 2 restaurants and 2 bars, plus a kids’ play area, an aerial ropes course, laser clay shooting and a vineyard.